Have you applied for adsense and they gave an error that you have duplicate content on your blog.or you write ebook for kindle and amazon could not publish your book because of duplicate content. Duplicate content is one of the things google frown at on a particle website or blog. Duplicate content can lead to 3 serious seo challenges. 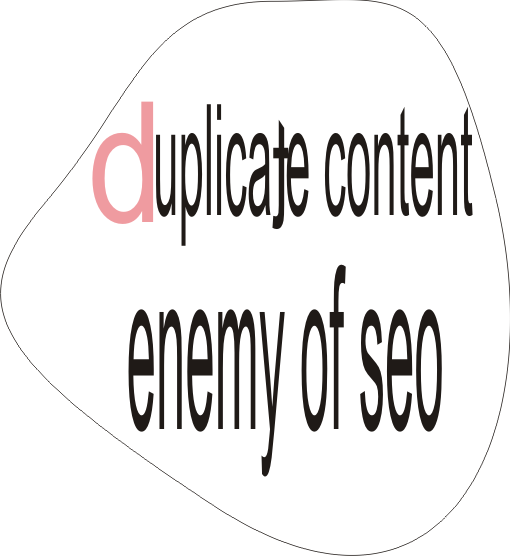 Duplicate content makes search engine to search the most important pages less frequenly. This happen when two urls share the same links that should have be of help to the original page.unless one of them is having a canonical link( or 301 redirect) which is pointing to the original page. 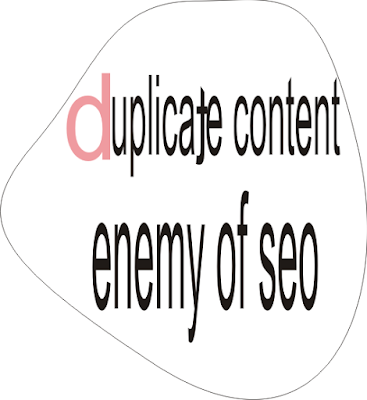 let say you have two or more pages with duplicate content on your blog. search engines will only rank one out the pages with duplicate content. Having known all i have mentioned above about duplicate content, i think it is of great importance to know what duplicate content is and how to overcome such issue. Duplicate content is when a good amount of content within a website is similar to what can be found on another website.Hope you understand what duplicate content his now.if that is understood;let now look at how to analyze duplicate content. There are two types of duplicate content you need to know about. 1.External duplicate content:-This is content you copied from another site. 2. Internal duplicate content:-This is content that can be found on several pages of your site. This analysis is all about what makes up duplicate content or what and what you need to look out for to determine if a content will be regarded as duplicate by search engine.The following are things you need to analyse to avoid duplicate content. Explain each of this protocol might not be necessary for this tutorial.what is necessary now is which of this protocols make our content duplicate when they conflict with each other. When you have the same content on different version of your website(That is the http:/ and the https version of your website, you already have a duplicate content. Scraping or copying an article from another website is the number one way of duplicating a content. for example: when several people copied a product information from an e-commerce sites and pasted it on their website.All those who copied such product-information already engage in duplicate content. Either you are been alerted by google for duplicate content or another webmaster contact you for copying his content. Here the three major ways for solving duplicate content issues. Re-direct in English language means to change the direction of something.while in computer it means forwarding one URL to another URL. Let say you came to look for an old friend of yours in his formal location-and someone just inform you that the dude you came to look for is no more staying in that environment,and he will not be coming back to that old environment forever. You are now giving a new address, where you can find your friend. 1. To bring traffic from several urls to a single url. when several url drive traffic to single url ,it gives the receiving url more DA(Domain Authority) which is a very important factor for seo. Canonical tags is the second solution to duplicate content. Is a method used to tell search engine that a specific url should be taking more important than the others.Using the canonical tags prevent problem of duplicate content appearing on multiple URLS. let say you have two urls with the same content which is regarded as duplicate content.You can used canonical tags to tell search engine which of the two url should be taking serious like so. noindex, follow" ROBOT META TAGS are pieces of code that provide search engine instruction for how to craw or index web page content. There a lot of indexing controls used by webmaster, but this tutorial is only focusing on two. 1.noindex:- This tells search engine not to index a page. 2.follow:- It tell search engine to follow all the link on a page. These two can be use to solve duplicate content issue,most especially issue with pagination.Take for example, you have a content span across different pages of your website.You can use "noindex.follow" robots text code to prevent search engine from indexing your duplicated URL like so:- Add this code to the header part of your duplicated pages.